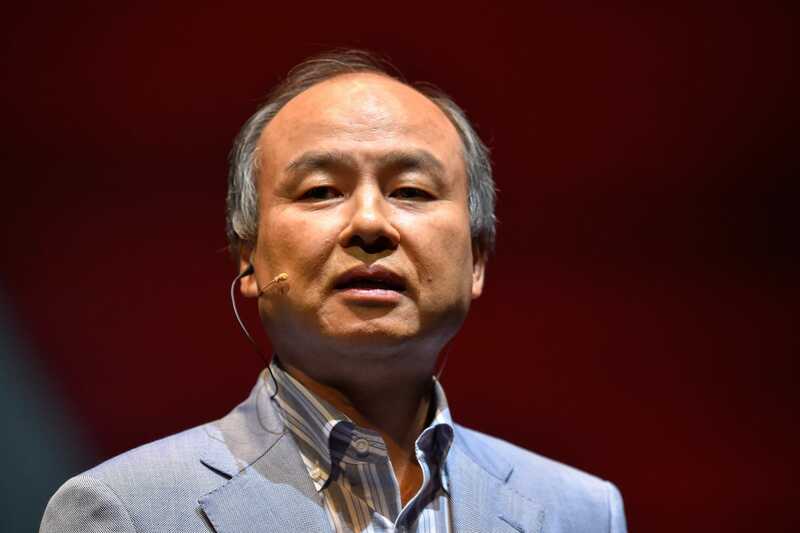 Home » Silicon Alley Insider » SoftBank spent $900 million in investment banking fees in 2018. The only entity it lagged — the People's Republic of China. SoftBank spent $900 million in investment banking fees in 2018, more than any company in at least a decade. The People's Republic of China is the only entity to outspend the Japanese tech conglomerate. SoftBank has primarily paid fees to investment bankers to raise capital, but it also executed many high profile investments in companies like WeWork and Cruise Automation. If you didn't have SoftBank as an investment banking client in 2018, you missed out on one of the most massive and lucrative fee opportunities in modern history. The Japanese tech conglomerate run by billionaire Masayoshi Son spent a staggering $894 million on investment banking fees in 2018, according to financial data company Refinitiv, securing financial advice on deals and procuring an array of bonds, loans, and equity investments. The next-highest fee payer in 2018, German pharmaceutical giant Bayer, is leagues behind at $384 million — 57% less than SoftBank. No corporation has come close to SoftBank's 2018 tally in recent years. The last time a company spent over $800 million in a year on investment banking fees was in 2009, according to Refinitiv, when Citigroup spent $813 million as it was restructuring its business following the financial crisis. To find a real competitor for Son's appetite for investment banking in recent years, you need to include government nations. The People's Republic of China has been the top spender in the world on such fees each of the past four years, according to Refinitiv's data. China spent nearly $1.3 billion on fees in 2018, down from $1.5 billion in 2017. What's Son getting for that $900 million? Most of those fees stem from raising money — paying banks to underwrite debt and equity financing. Mergers and acquisitions comprises a much smaller piece of the pie, according to Refinitiv, but SoftBank was nonetheless exceptionally busy deploying the nearly $100 billion in its Vision Fund to make investments and acquisitions. SoftBank's 2018 investments include a $2 billion infusion in WeWork, $3 billion for Alibaba's food delivery service, $2.3 billion for GM's self-driving unit Cruise Automation, and $2 billion for Coupang, a South Korean ecommerce company. The top beneficiaries of SoftBank's investment binge last year are Japanese banks Mizuho, Sumitomo Mitsui Financial Group, and Nomura, which together earned $319 million from Softbank — 38% of its investment banking spend, according to Refinitiv. Morgan Stanley earned $83 million, a roughly 9% share of the total. Goldman Sachs and Deutsche Bank are also known to be top bankers to the firm. Each were lead underwriters on a $9 billion loan to the Vision Fund in October, and they're advising on the public offering for SoftBank's wireless unit as well, according to Bloomberg. Bank of America Merrill Lynch is also a top lender to SoftBank, though it reportedly balked at participating in the $9 billion financing last fall. Goldman formed a special group in 2017 specifically to earn more investment banking mindshare with giant, complicated clients like SoftBank — a well-timed and justified move in light of SoftBank's unprecedented spending this past year. But Goldman has lost some of its key bankers to the Japanese client of late. Michael Ronen left Goldman to work for SoftBank in 2017, and last week Simon Holden, an 18-year Goldman vet with deep ties to Softbank, retired.